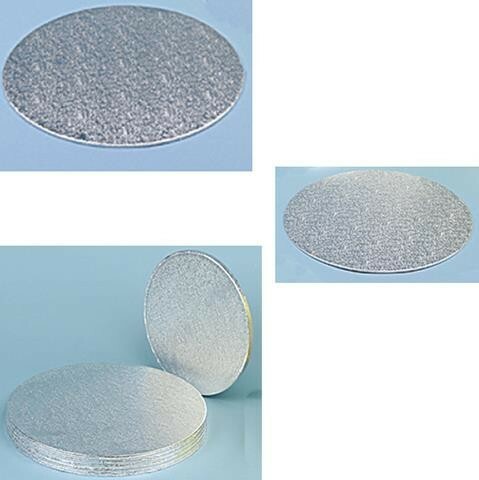 Cake boards in Silver with 12 inch diameter and are 3mm thick. Comes in pack of 10. They have multiple uses, they can be used for balloon display bases, centrepiece bases or simply for a cake board. You can also change the colour of these by covering with foil roll, a latex or foil balloon.